Guitar is one of the world's most popular instruments for primary children and in high school as well as adults. Learn about our Guitar Lessons. Guitar is one of the world's most popular instrument especially for children in primary school, high school as well as adults. Learning guitar can be very rewarding, with many opportunites to play the instrument in a band or just by yourself. It is such a versatile instrument and is perfect for children aged 8 right through to adults. And of course anyone who wants to be a Rock Star! Forte Guitar Teachers play a wide range of styles and are very versatile and are happy to accommodate the choice of music of beginners. So whichever piece or style you'd like to play, we're sure our guitar teachers will be able to assist. You'll be amazed at how you'll be enjoying playing from the first few lessons. The co-ordination and individual finger strength required to play guitar can be difficult for young children. 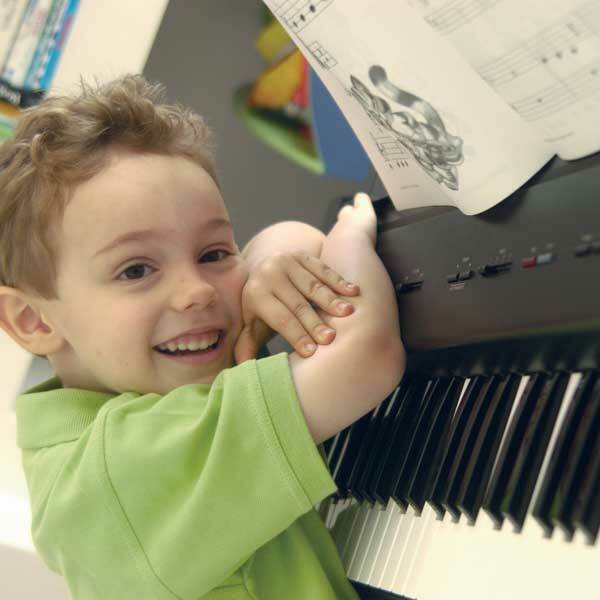 We recommend that children aged 3.5 - 7 years start with on of our Forte Piano Courses for Children where they will learn all the basics of music. Students who have done this before often move to guitar when they are 8 or 9 and have all the music skills and then only need to learn the technique required for guitar. This means they learn much quicker than a student of the same age just starting out with music learning. Come along to see just how good our teachers are and how much you will enjoy learning to play music at Forte.